Per the Council on Tall Buildings and Urban Habitat, there are currently 132 "supertall" skyscrapers with architectural heights over 300 meters, or 984 feet—three-fourths of which were built in the last decade. And plenty more are on the way, with 20 expected to be completed in 2018 alone. Read on for seven record-breaking buildings now on the rise—among them, three "megatalls" set to surpass 600 meters and knock longstanding titleholders, including the mighty Burj Khalifa, off their lofty pedestals. 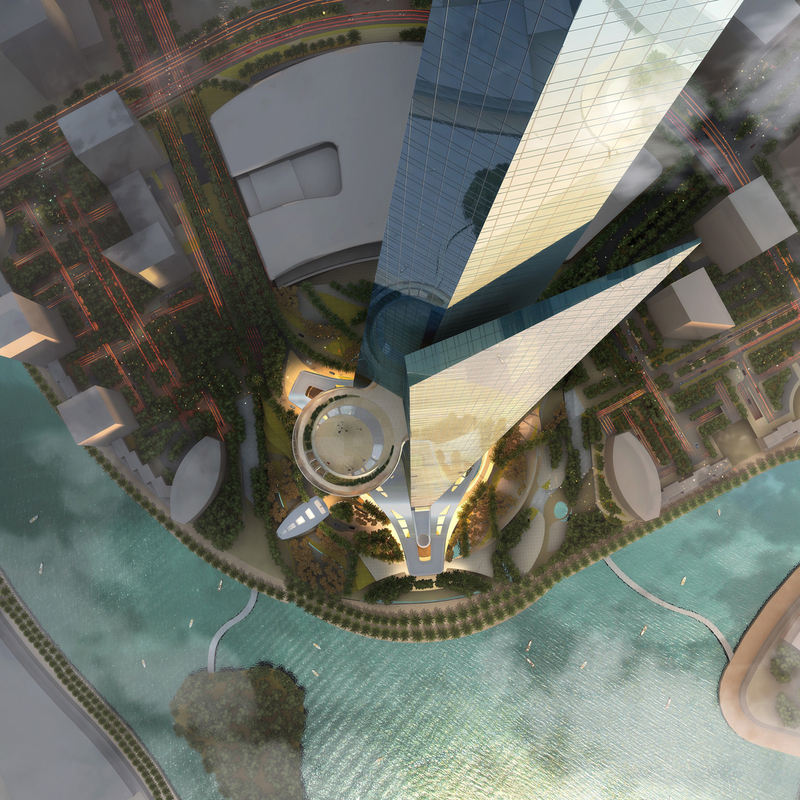 Resembling “a bundle of leaves shooting up from the ground,” Smith & Gill’s greatest undertaking—now budding in Jeddah, Saudi Arabia—will be king of the world when it's capped off in 2020, tickling the clouds at 3,280 feet. The supersize stalagmite, which will cost a reported $1.2 billion, boasts an aerodynamic design featuring a three-petal footprint with a series of gill-like notches etched into each side, designed to shield parts of the structure from the sun by forming pockets of shadow. The one-kilometer-high building will house a luxury hotel, office space, high-end condominiums, and one of the most advanced elevator systems—not to mention the world’s highest observatory: a 98-foot-wide circular sky terrace at level 157 (2,139 feet above ground), which will be open to the public.